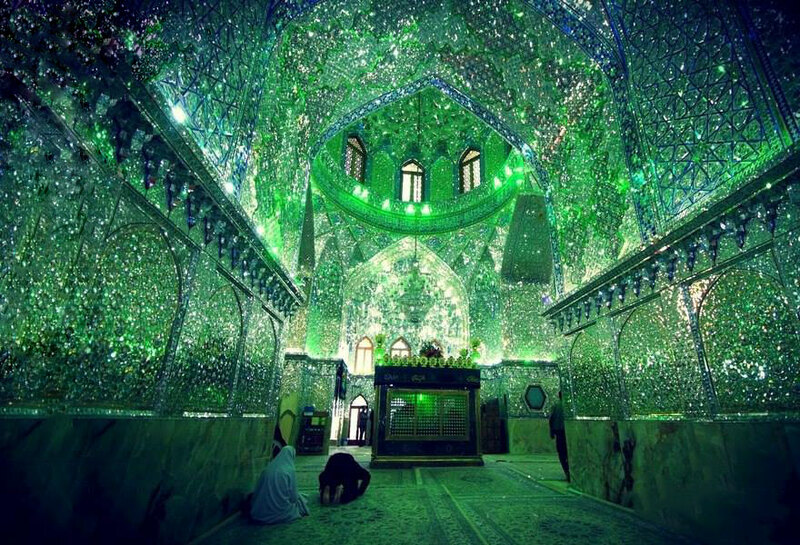 Shah Cheragh is a funerary monument and mosque in Shiraz, Iran. It translates to “King of the Light” and it’s easy to understand why. The jaw-dropping interior of this structure has millions of tiny mirror shards which bounce the light in every direction. The site has a rather mysterious past. According to one story, around 900 A.D. a traveller spotted something shining from a distance. He approached the area to investigate and found an illuminated grave. An armored corpse of an important Muslim figure was found inside and the area became a pilgrimage destination for Shia Muslims. A structure was built to house the tomb and as time went by it became more and more complex.